was developed in the mid-80s before other shows and conferences were as abundant as they are today. BOMA Calgary hosted the first BOMEX® in 1990, an event deemed so impressive it spurred the establishment of a BOMA association in neighbouring Saskatchewan. 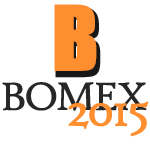 BOMEX® has been hosted by nine of its eleven associations across the country, from British Columbia to Newfoundland and Labrador, with local hosts providing unique architectural, recreational and local flavours to the national event. the trademark format of tradeshow, education sessions and the national awards gala has been supplemented with receptions, locally-themed social events and optional activities such as golf tournaments, site-seeing excursions and building tours. and looks forward with excitement to what the future brings for our national conference and exhibition, to the “renewal” work of the BOMEX® Strategic Committee, and to the plans our future hosts have in store for all of us in the coming years.